The main purpose of Developer Options for ordinary users is to facilitate the access to USB Debugging. 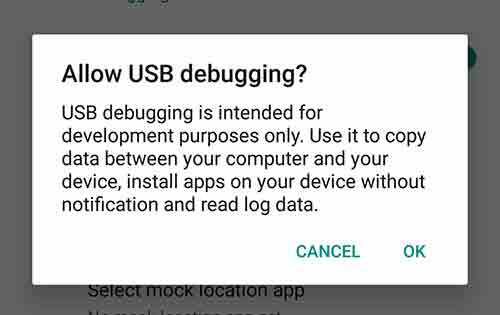 If you need to establish a connection between your phone and computer through the Android Debugging tool, or some sort of PC suite, you need USB Debugging to enabled. This is the definitive guide on how to enable Developer Options and USB Debugging on LG G7 ThinQ smartphone. Both the options will certainly help you in different ways. The noteworthy thing is that there is a lot you can do with the Developer options. Not only it does help to enable USB Debugging, there are many other options that elevates the user experience. However, the user shouldn’t use these features heedlessly. The Developer Mode is something that all Android phones ship with. It is intended to be used by the Android Developers. Thus, it is mainly used by them. If used appropriately, this mode can help in improving the performance and functionalities. In this tutorial, we will detail about the Developer Mode and USB Debugging on LG G7 ThinQ. Apart from the USB Debugging, the Developer Options has several other functionalities. The user can manage Animations, DPI, background processes, analysis the running application and so on. That’s why it would great to learn about this mode. Once you have enabled the Developer Options on LG G7 ThinQ, only then you would be able to enable the USB Debugging. The USB Debugging becomes necessary while connecting the phone to the PC and operate it through a PC suite or Android SDK (Android Development Kit). It helps to establish an appropriate connection between phone and computer. Additionally, we will discuss some of the important functions of the Developer Options. These are used to further customization. Also, there are some advanced features to manage the phone smartly. By the end of this tutorial, you should be able to enable these two features. Also, you’ll have your hands on useful functionalities of the Developers Mode. 2. Now, tap on Software info entity. 3. Locate the Build number and tap 7 times on it. 4. That will activate the Developer Options and it can be accessed through the Setting menu. Now, you can use the Developer Options anytime you want. It appears with the Setting menu. Just Open the Settings menu and locate the Developer Option. 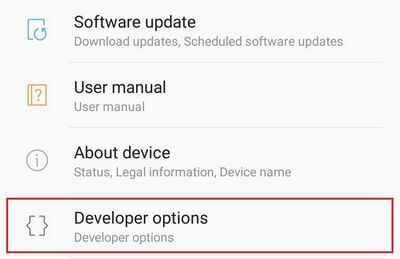 Since you have enabled the Developer Options on LG G7 ThinQ, thus you can go further and access the USB Debugging option and enable it. 2. Tap on the Developer Options and turn it on by swiping the radio button present at the top right. 3. Scroll down to locate USB Debugging entity. 4. Swipe right the button to enable this option and confirm your action. That’s it. You’ve successfully enabled the USB Debugging on your phone. Now, you’re ready to connect your phone to PC. And perform actions that you want. This will help you while you update your phone manually, create backups, connect through PC suite and so on. Apart from the USB Debugging, you can do some more tweaks. The Developer Options has more jams to entertain you better. Yes, you heard it right. You can customize the extent and duration of animations right from this menu. If you’re anything concerned about the performance, then reducing the animations can outcome better performance. You can customize the animations as per your requirements. This will reduce down the extent and duration of animations by half of its current value. That outcomes better responsiveness, performance and battery life. The DPI stands for Dot Per Inch. It works like the screen resolution but somewhat it is different. From the perspective of users, it can make better experiences. Basically, while we reduce or increase the DPI value, it correspondingly increases or decreases the size of the on-screen content. It makes text and icons bigger. That extensively improves the readability and somewhat positively impact the performance. It makes things smoother. Now locate the smallest width or minimum width entity. Change the default value. We recommend trying to put 360 or 340 values. This is again a performance improving thing. Once you enable this option, all the rendering requests will be carried by the GPU unit. The CPUs will be more available for other tasks. That simply makes performance go better on LG G7 ThinQ. Scroll down and locate Force GPU rendering. These are some useful ways to use the Developer Options on LG G7 ThinQ. Even, there are few more. We recommend you to research them and use them for good. That ends our tutorial that helps to enable Developer Options and USB Debugging on LG G7 ThinQ. If you stuck or face any issue while accessing these options, write us through the comments. We will try to reach out with the solution as early as possible. How can I enable video output for USB port. I’m trying to connect my phone to the tv with hdmi ? Thanks for writing to us. It seems that LG has disabled this facility on LG G7 on a software level. Therefore, possibly you cannot use the HDMI cable to connect your phone to the TV. Instead, you could use the Chromecast or Miracast tools to do that. If you find an alternative, do let us know. HDMI on USB require a paid key from Qualcomm. This is a matter for vendor (LG) on a possible update. You can’t do on MSM kernel.